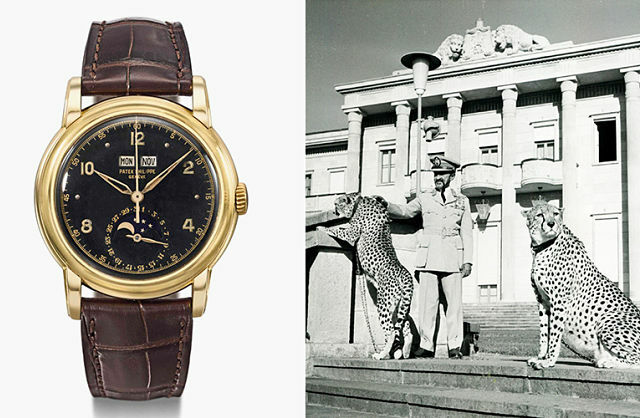 New York (TADIAS) — The grandson of Ethiopia’s former Emperor Haile Selassie and his extended family are calling for the indefinite postponement of an imminent Christie’s auction in Geneva involving a wristwatch that was their grandfather’s personal possession, and one that they believe was illegally confiscated from him. Christie’s claims that years later the Emperor gave the vintage, personal timepiece as a gift to “an eminent personality, whose descendant is now disclosing it to the world.” Today the watch is estimated to be worth between five hundred thousand and one million dollars. In response to another family member’s request to halt the auction Christie’s insisted they will not disclose the name for “confidential reasons” maintaining that the auction is legitimate. But the grandson, Ermias S. Haile Selassie, says he wants to know who that “eminent personality” might be? The family, we are told, has also retained attorneys in Geneva and are weighing several legal options. They have also contacted the Swiss Police as well as INTERPOL seeking assistance in launching an investigation.